How does it feel to receive Reiki? Reiki ("Ray-Key") translates as "Spiritual Energy" or "Universal Life Energy" and is essentially the same as "chi" (Chinese), "ki" (Japanese) or "prana” (Ayurveda). It is the whole and complete life force from which duality and the physical plane (yin and yang) emerge. Because everything is made of energy, everything consists of Reiki. "Reiki" also more commonly refers to the Japanese system of meditative practices developed by Mikao Usui in the early 1900’s based on his personal experience with Reiki and a life-long study of meditation and martial arts. Reiki helps the body to heal itself by providing it with nourishing chi. Reiki is an ideal complementary therapy for those recovering from surgery, physical injury and trauma, or who are physically fragile because your body takes and uses the optimal amount of Reiki for you at that time. Rebalance and in ways that enhance spiritual development, expand awareness, and support mental and emotional clarity. Reiki helps the body to heal itself by providing it with nourishing chi (or fuel). It is unique from most other systems in that this is known at the start, that the energy will be pulled to where it's most needed, and the practitioner doesn't manipulate it for a specific result. Anything we do, such as acupuncture, herbs, pharmaceuticals, surgery, etc. all have the goal of assisting the body's amazing, even miraculous ability to heal itself. There is a saying in Traditional Chinese Medicine that "if there is enough Blood and Chi, anything can be healed." This translates to nutrients and other healing agents in the blood, combined with vital life force energy (chi). Reiki complements other healing and medicinal systems beautifully. 1. By receiving a Reiki treatment (hands-on or at-a-distance sessions). Reiki flows to where it is most needed, creating a quiet space to support the body in its healing process and maintaining wellness. When injury or disease is present, meridians and other channels are blocked, often resulting in worsening of the condition. (This is why Acupressure done within a Reiki session is so ideal: acupressure opens the channels and Reiki is a supply of fresh vital life force flowing throughout the body which supports the body's healing.) It knows where to go because of its life-source nature and because the body knows where it's needed and pulls it there through the Reiki practitioner. You can experience Reiki as a standalone session or in combination with Acupressure or Warm Stone Massage. Reiki and AcuReiki sessions are done through clothing, so there is no need to disrobe. In-office appointments last from 30-75 minutes. Long-distance sessions are also available. In addition, if you are an established client and are not able to travel to an appointment, arrangements can be made for a Reiki session in your home. Sessions can also be done in a hospice or hospital setting, after obtaining approval from your doctor and/or the medical staff. Please click here for Sessions & Rates information. 2. Taking a Reiki class to learn how to use the precepts, meditations, symbols and mantras for self-healing and to share with others. Class participants are attuned by me, as a Level III Teacher. During the class, I offer multiple Reijus (spiritual blessings) during the course. Doing Reiki can enhance your intuitive development and your ability to connect to and create a healing energetic space. To find out more about Reiki classes, please click here. A healing space is created by opening to Reiki, and Reiki is a supply of fresh vital life force which supports the body's own healing abilities. Reiki knows where to go because of its life-source nature and because it flows to where the body pulls it. You might feel this energy as tingling, a light magnetic flow through your limbs, my hands being hot, or the sensation that more than one person is working with you. Some clients have reported feeling floaty or light. Others become grounded, sensing energy moving from the crown of their heads through their body into their feet. Or, you might not feel anything during the session, but find there’s been an interesting shift in your perspective about an issue once you get home and are moving through your life. Reiki can also be received at a distance. Here in the West, the process is typically often described as "sending Reiki at a distance," but it is more accurate to say that it's about "becoming One" with the recipient to allow healing to occur. According to my Reiki lineage, this Oneness does not need to be created as part of the session because it already exists. 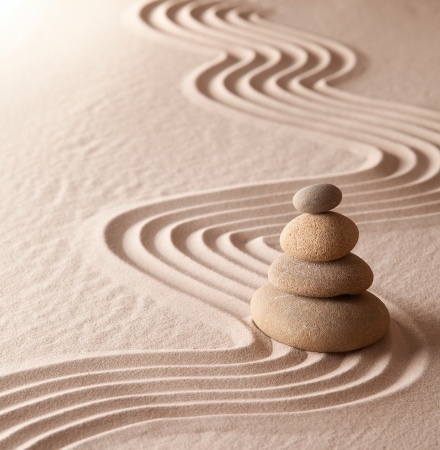 The meditation techniques taught at the Reiki II level serve to remind the practitioner of this connection, and in essence, our mental block to connection is removed. "Distance" can refer to someone who is simply out of my view (i.e., in another room) or completely nonlocal to me (at their residence while I am at home). The amount of distance doesn't matter. When I go into Reiki meditation for a distance session, I open the Reiki field and become One with the recipient. The session is scheduled in advance, and it's helpful for you to be in a quiet, relaxing environment, either sitting in a comfortable supportive chair, or lying down. If you are interested in having a Reiki distance session, please contact me to set up a time. Payment is in advance via PayPal (or you can mail a check). I am also happy to answer any questions you may have. Be honest in your work. Frans Stiene and Kathleen Prasad are my current teachers, teaching a traditional form of Reiki called Usui Reiki Ryoho (“Usui Spiritual Energy Healing Method”), through the International House of Reiki and Animal Reiki Source. This lineage offers a somewhat different approach to Reiki than many Western Reiki systems. (To see information regarding all of the lineages to which I have been attuned, click here.) This is not a new form of Reiki, but a return to the non-Western traditional practices and ways as taught by Mikao Usui; it is a “non-modernized” form. I have been attuned by a number of Reiki masters. For those who are interested, here is a list of the multiple lineages to which I belong. *For the last two listed, I don't have specific names of the lineage beyond the organization who trained the teachers for these earlier trainings. Reiki lineages are interesting but ultimately not important in terms of using Reiki in session. Reiki is Reiki, regardless of the way it may be presented in classes. However, a practitioner’s training and experience can make a difference as to how well he or she can access the energy for the benefit of the client. As you can see, the training I've received in Usui Reiki Ryoho through Kathleen Prasad and Frans Stiene takes a different path back to Usui Mikao than the other Western lineages. Frans has studied directly with Japanese Reiki Masters and has done extensive research into the origins of Reiki. He trains his students in this more traditional approach, which emphasizes personal daily practice of specific meditations and chanting to enhance spiritual development, rather than just relying on the symbols and mantras to do all the work. I have found that the International House of Reiki’s approach has greatly increased my ability to work with Reiki, and this surprised me, as I’ve studied with several instructors and have used Reiki for many years. If you are interested in finding out more about Reiki classes and how I teach Reiki, please click here. To schedule an appointment or ask questions about Reiki, please contact me.